Sometimes an unheated studio can be an incentive to work in a warmer space and explore a new subject. Tony chose to work with discarded books. It gave him an opportunity to work with text, collage, colour and critically the chance to create images as spontaneously as possible. This body of work is quite fragile especially when exhibited in public galleries. Tony decided that an original way to show them to the public would be to make them into prints which later led to the development of short films. He employed the actor Kim Hicks to read the random text for three books and Leo Fehrenbach to compose sound for one of the films. Six books have been made into short films. They last from 5 minutes to 10 minutes. Here are two examples from each of the books. 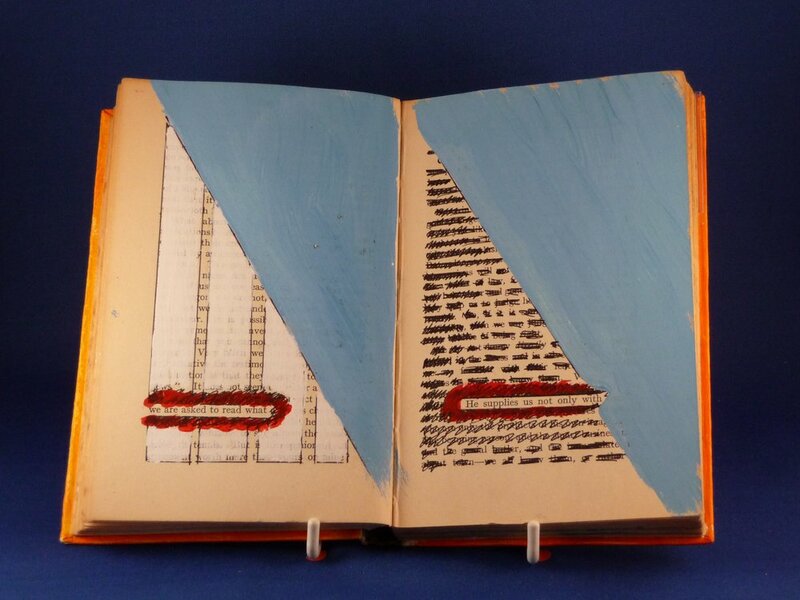 This is a book where all the 'the' and 'the's' have been selected, highlighted and modified with acrylic and collage. They are as spontaneous as I can make them. Film 8 minutes 22 seconds. Another randomly chosen book with random text selected with added colour and collage. Film 4 minutes 46 seconds. 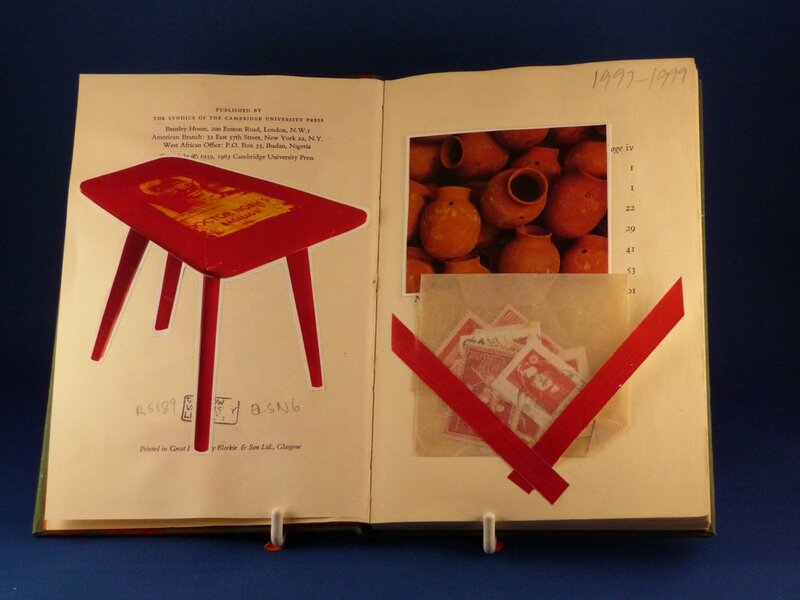 For this artist book, I've used the colour red on each page in a different form e.g collage, painting and drawing. Film 5 minutes 20 seconds. If you enjoyed the previous films you might enjoy this one as well. Random text, coloured pencil, paint, collage. The soundtrack is a combination of natural sounds and also farm, gate and rural sound effects. Film 9 minutes 29 seconds.